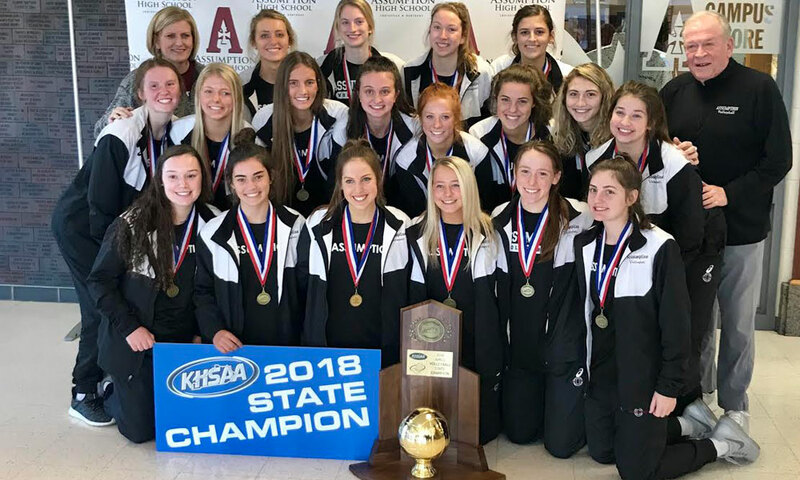 Pegged as the team to beat by many this season, top-ranked Assumption took down Mercy on Sunday in the Kentucky state final to finish undefeated in 2018. After the Big South qualifier wrapped up on a Sunday this past club season in Atlanta, PrepVolleyball.com’s John Tawa headed off to present Walton with its banner and trophy as part of our national championship ceremony. The award presentation was much different during PrepVolleyball’s early years, however. In 2003 – the first time PrepVolleyball anointed a national champion – Tawa was on site the same day St. Ursula Academy of Cincinnati claimed its state title, and subsequently, PVB’s national championship.